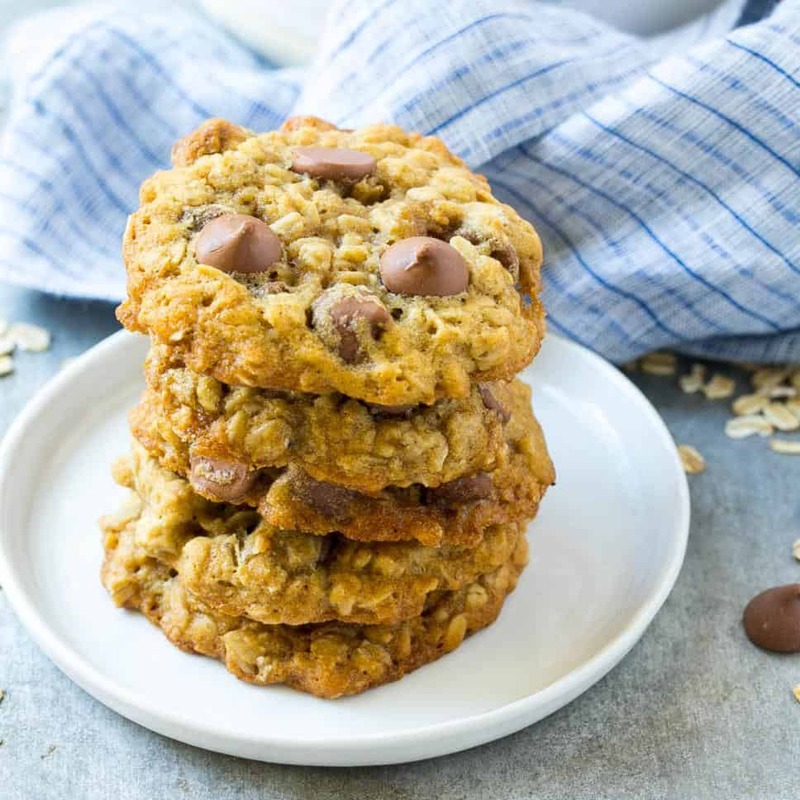 This Oatmeal Chocolate Chip Cookies is a healthier version of oatmeal cookies with the addition of protein. 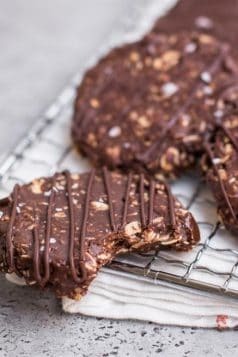 A cookie recipe that will easily become one of your favorite cookie recipes. Making cookies is one of our favorite things to do and I bet it every kid favorite dessert to bake. 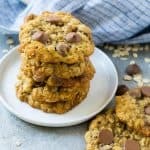 We usually make the traditional chocolate chip cookies and we also love making Oatmeal cookies. 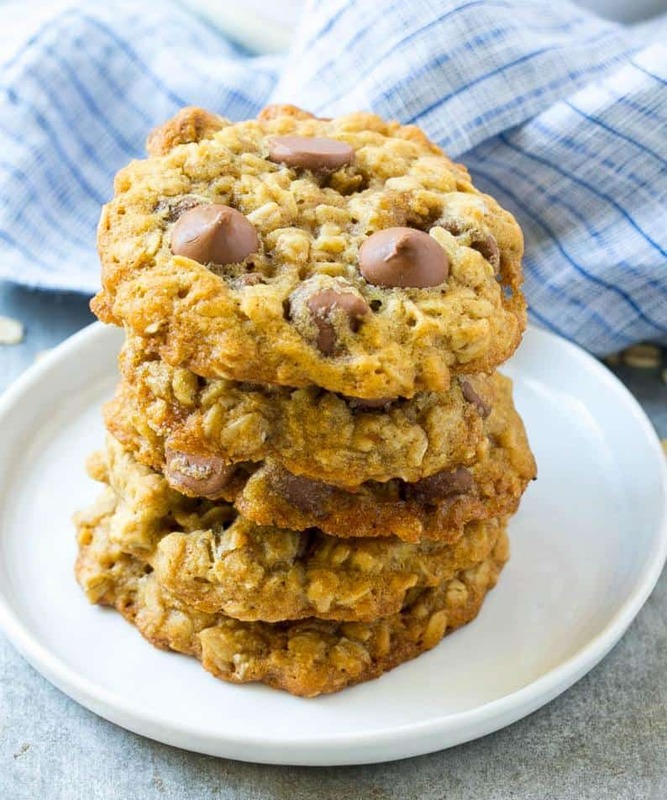 So we decided to mix things up and make this Oatmeal Chocolate Chip Cookies. Hey, why not?! 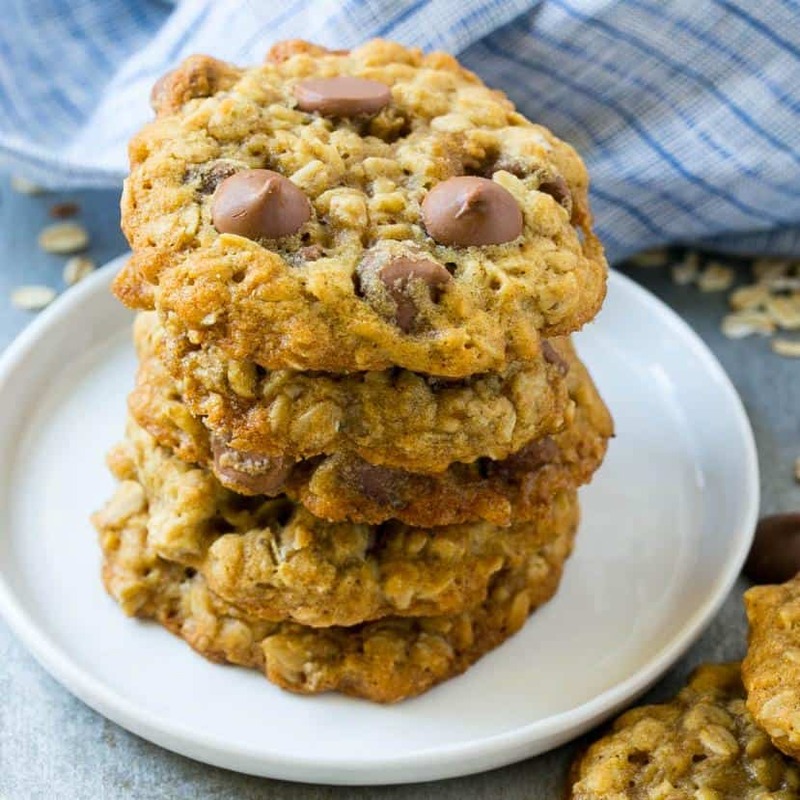 You can make these Oatmeal Chocolate Chip Cookies without the protein. 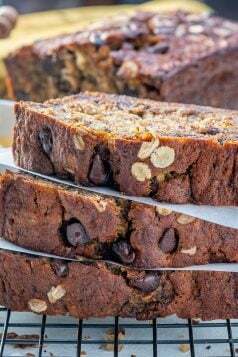 You will just have to add a bit more flour or oats. Say about a quarter cup. Not all my kids like the protein actually. My girls aren’t too fond of it but my boys think protein is making them build muscle so they are always excited to use some. 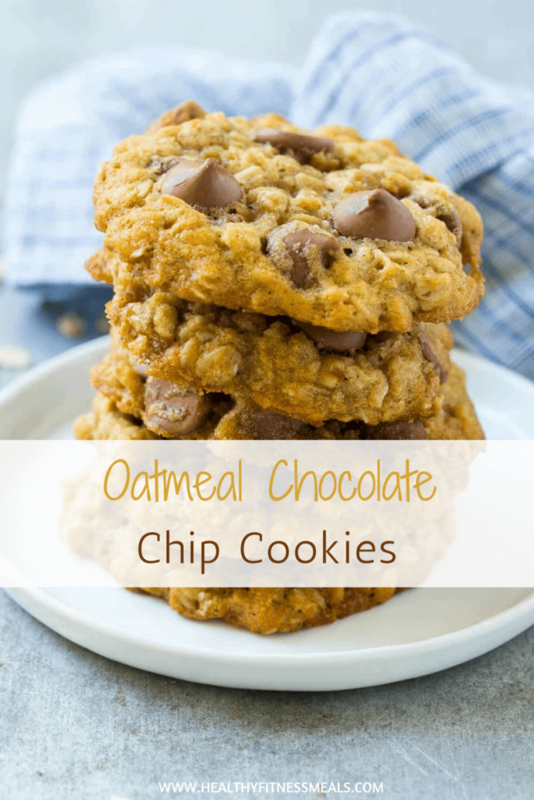 Let me know what you think of this Oatmeal Chocolate Chip Cookies when you make them. Did you add protein? 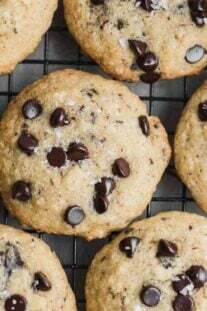 For this particular recipe, I used milk chocolate chips because it was what I had handy. 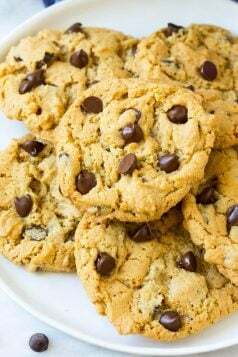 But a healthier choice would be to use dark chocolate chips. Making cookies from scratch is always fun. I know its easier to get those pre-made cookie doughs, which is fine occasionally. But if you are watching your caloric intake its best to make these yourself. 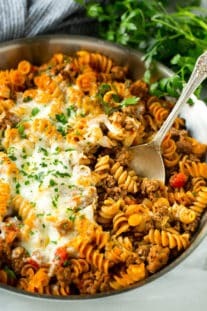 It’s much healthier and made with cleaner ingredients. 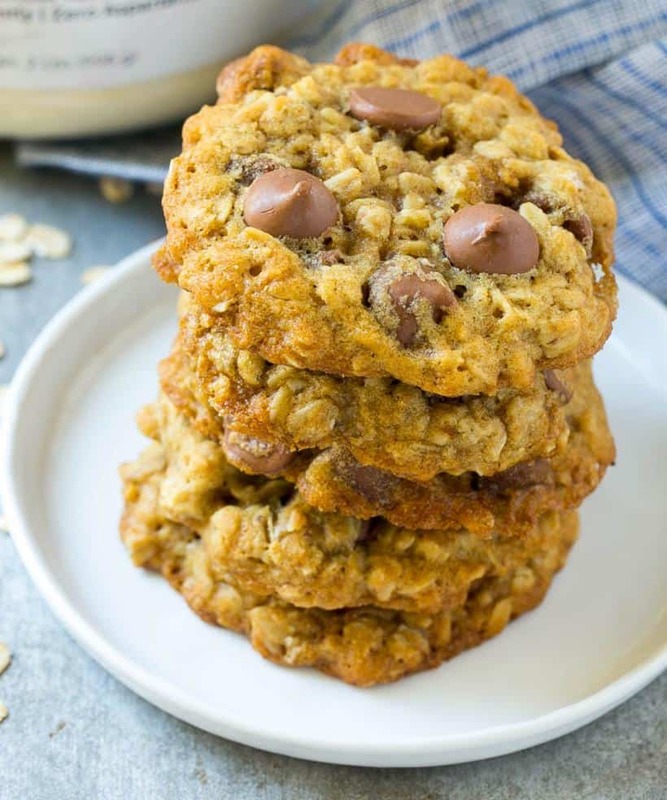 A healthier version of oatmeal cookies with the addition of protein. Preheat the oven to 350 degrees. Line a baking sheet with parchment paper or a nonstick baking mat. 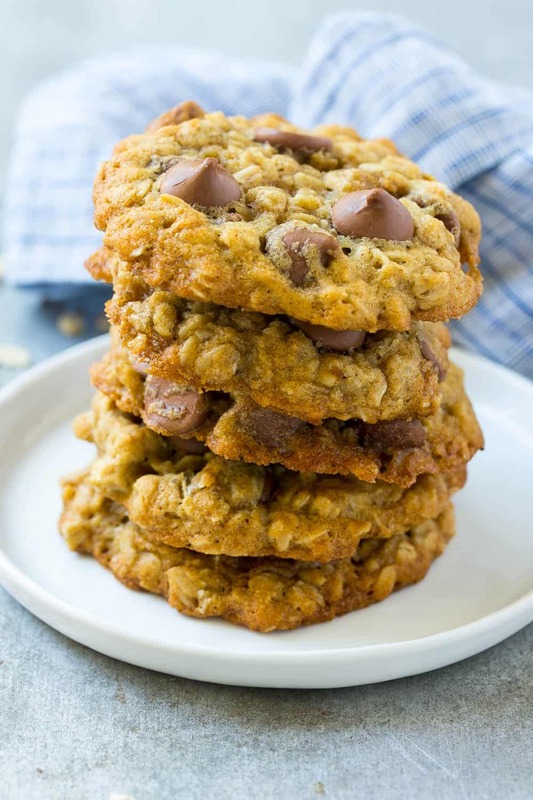 In a large bowl, mix together the protein powder, oats, whole wheat flour, baking powder, and cinnamon. Make a well in the center of the dry ingredients and add the coconut oil, vanilla, egg, and honey. Stir until just combined. Fold in the chocolate chips. Shape the dough into 12 equal sized cookies. Place the cookies on the cookie sheet 2 inches apart; you may have to bake in batches. Bake for 12-14 minutes or until edges are browned. Repeat with remaining dough.